Whilst working at SilverDoor Apartments, I created visual concepts for the design launch of the company’s digital platform, Orbital One. This web app was made to let property partners manage and oversee their entire apartment portfolio across all 3 brands of SilverDoor. In particular I made concepts for the overall look and feel but also focussed on the process of uploading and editing properties. SilverDoor Apartments is the world-leading provider of serviced apartments for business travel, work with over 1,000 property partners. SilverDoor consists of three brands which specialise across business accommodation, corporate apartments, and serviced apartments in London. 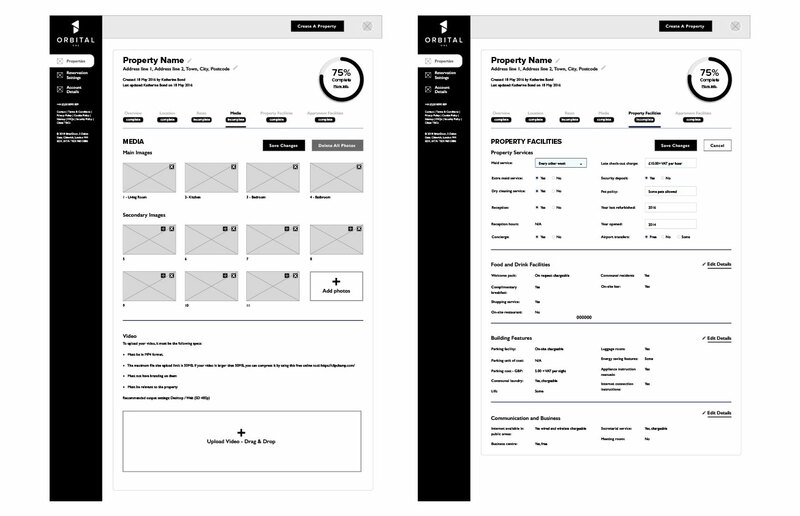 The selected property’s profile page uses a basic tab system to break down large amounts of content that user’s need to fill in. 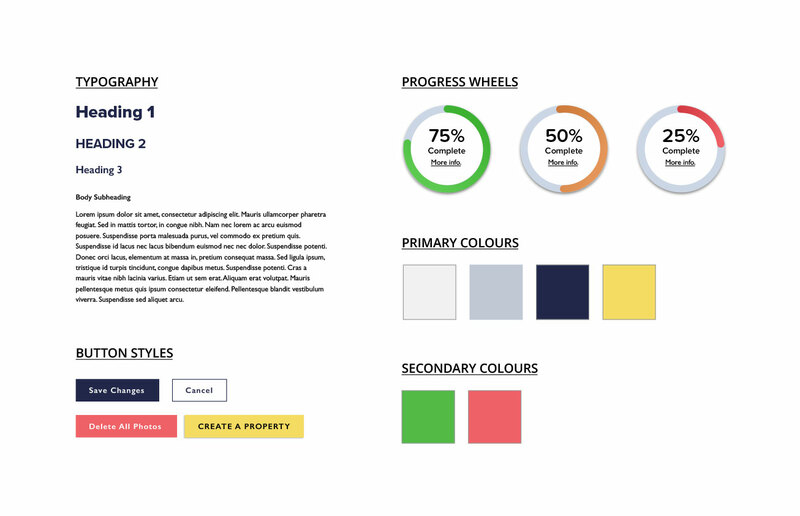 This is accommodated with a simple progress wheel and status labels to help the user identify what they need to do to complete the profile. 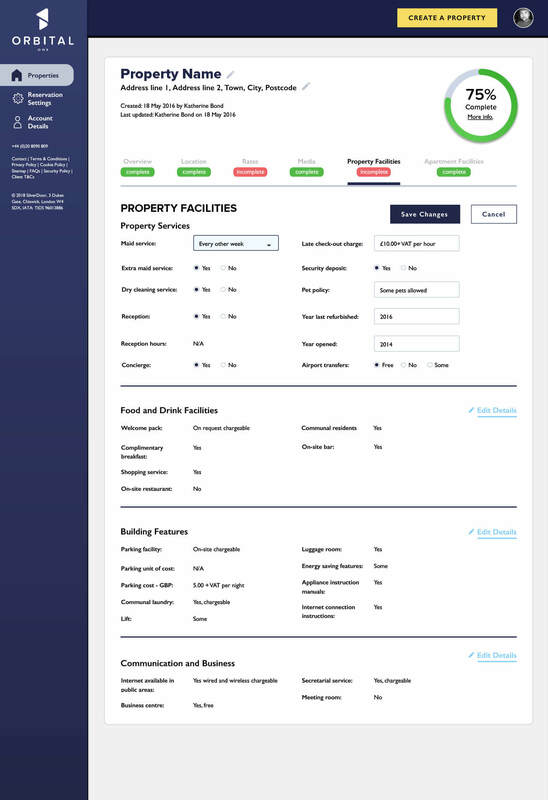 In the below example, the Property Facilities tab is selected, in which the content is segmented i.e. Property Services and Food and Drink Facilities. Each segment has content displayed as plain text by default to make it easier for users to read but they can be edited individually for quick amends. In the selected property’s profile, users can uploaded photos and videos of the apartment. 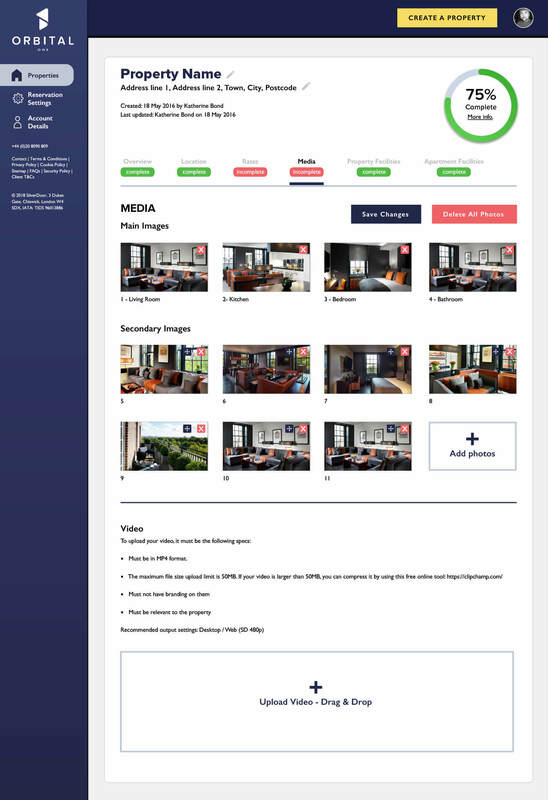 For consistency across all properties displayed on the brand websites, the company wanted to encourage users to upload the main photos in a particular order. This was achieved by creating a section for the main photos, which was set to a particular order, which the user could not change. Labels were also used to make clear what types of photos needed to be in which order. 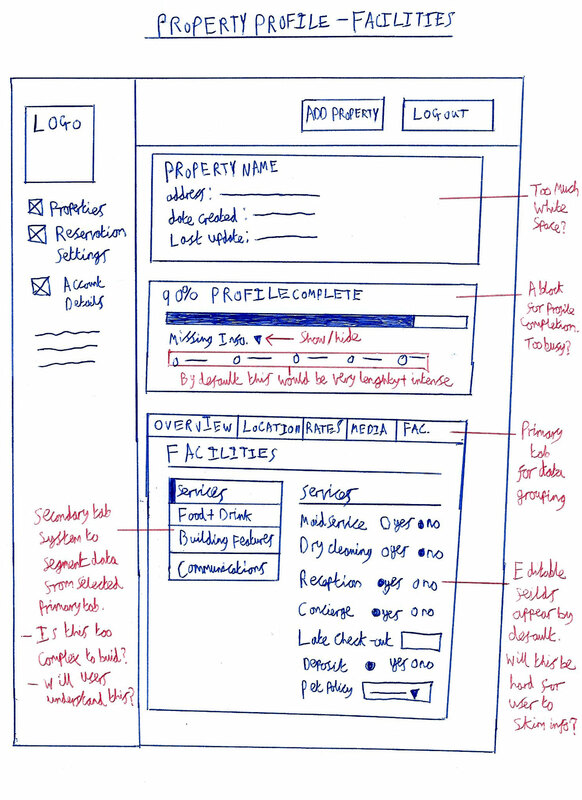 Basic sketches and wireframe concepts created on Sketch to help gain an idea on how high levels of content in forms can be organised and represented as input types i.e. radio boxes, dropdowns, media upload. © 2019 Franco Grech. Proudly handcoded.